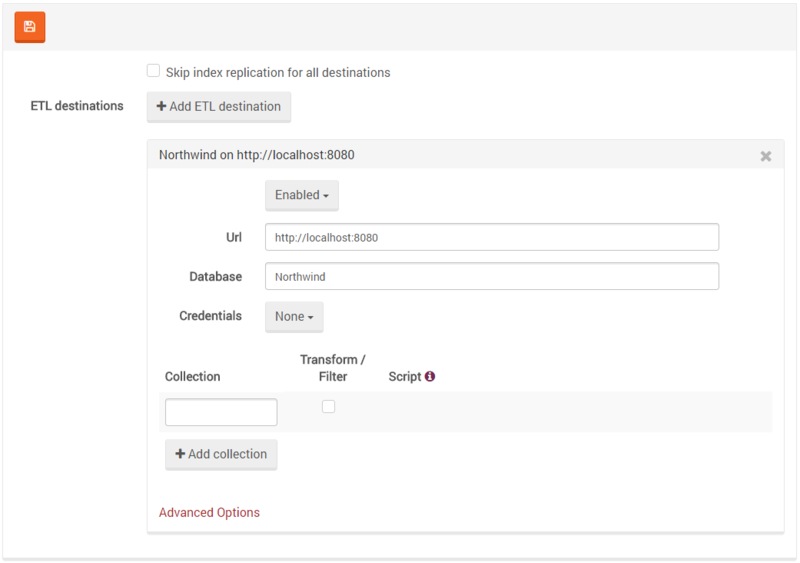 You can choose Skip index replication for all destinations to configure it globally instead of per destination. 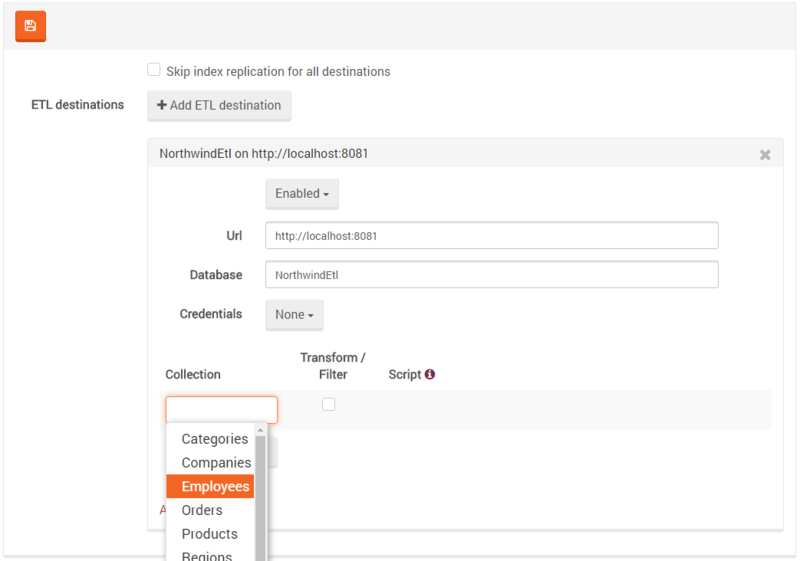 Simple ETL can be configured by choosing the source collection and providing the destination URL and Database. If you want to manipulate the replicated documents in a custom way, you can easily define transformation and filtering. There is an option to write a JS function (examples) for each collection/destination, which means that the script will run on every replicated document from that collection. 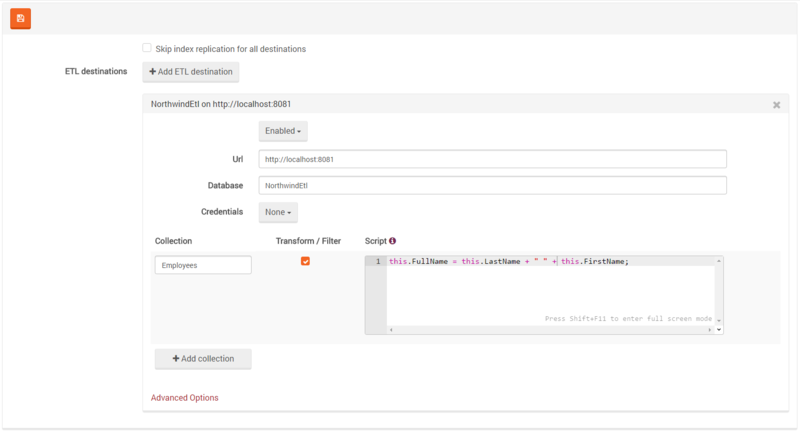 The deletion of documents (tombstones) will be replicated to their destination without applying the transformation script on them. It means that they won't be filtered out and all deletes will be processed as usual. An important consideration with ETL is that because the data is filtered and possibly transformed, a destination that is using this feature isn't a viable fall-back target, and it will not be considered as such by the client. If you want failover, you need to have multiple replicas, some with the full data set and some with the filtered data.